Hello, I'm back for a second time today! Isn't that crazy! 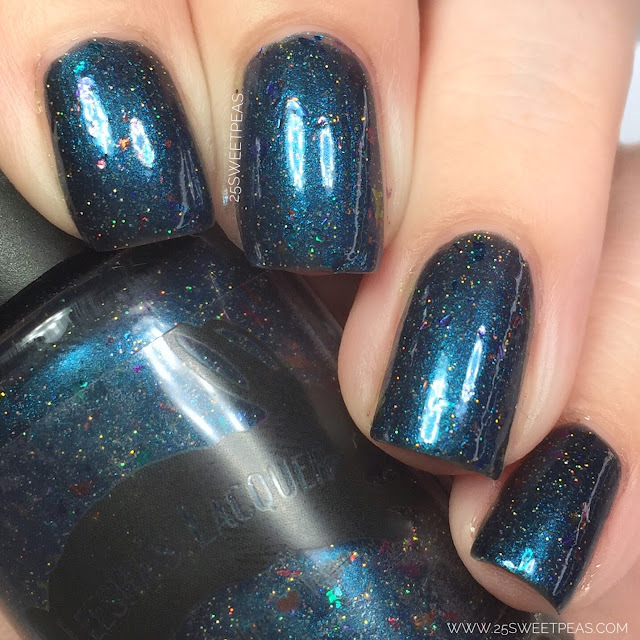 Today I have a look at Leesha's Lacquer October Polish Pick Up which is really lovely, so lets just check it out! A black based multichrome that shifts from turquoise to blue to purple. It has purple/blue flakies as well as red/orange/yellow flakies and a touch of gold holo. 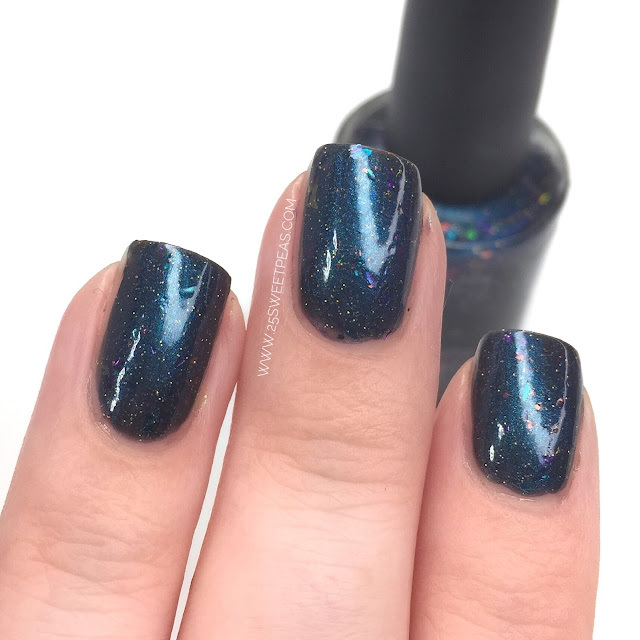 The formula on this was great and its such a lovely polish. As you will see in the swatch video here its so shifty and the flakies really pop on the nail! And actually you will really get to see them in the the macro photo! 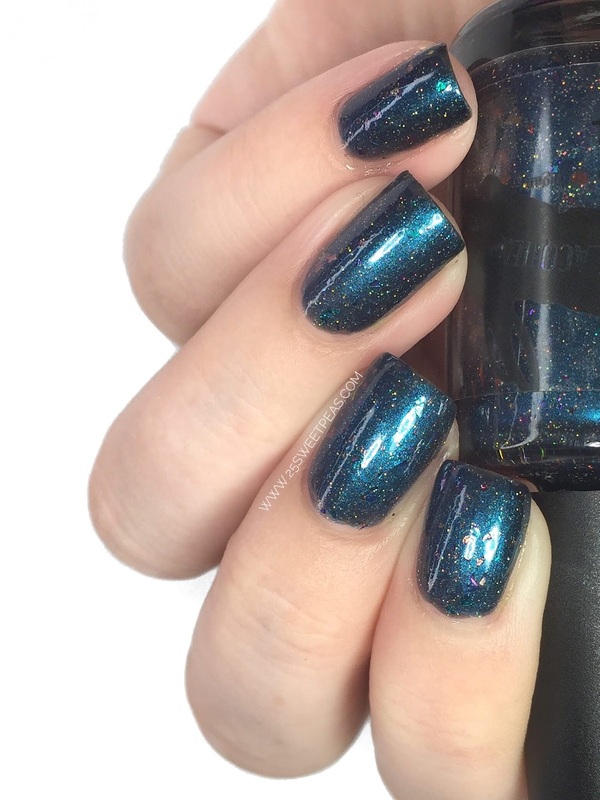 Also can we just talk about this deep teal glow in the polish! Its SO pretty! 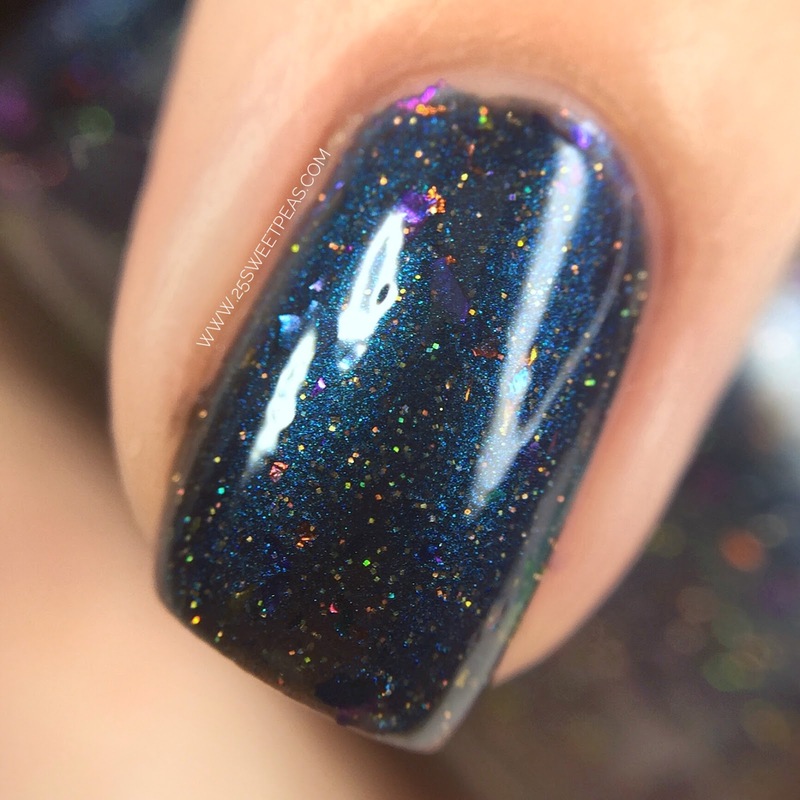 Here is a bit about this polish also the info about the cap, which just mean there are only so many available once the PPU goes live! Inspiration: Team Rocket from the Pokémon Series, which originally includes Jessie, James and Meowth. 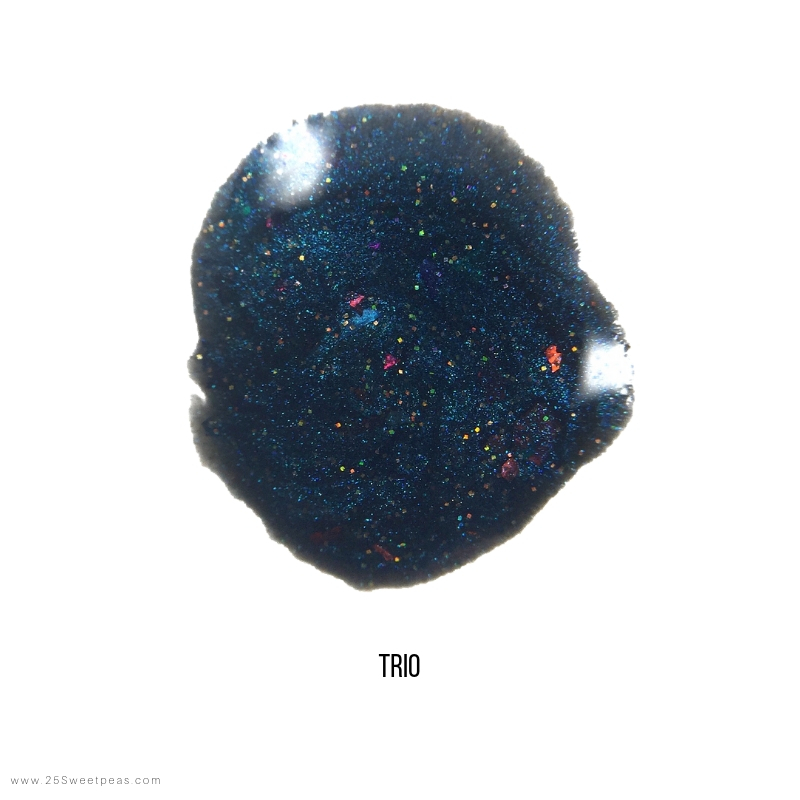 The Team Rocket Trio (abbreviated as TRio) multichrome aspect of the polish represents the hair of Jessie and James while the red/orange/yellow flakies represent the red logo and the gold holo represents Meowth. So this will be going on sale this upcoming Friday and will last through the weekend! Below is the link to the PPU site as well as Leesha's Lacquer shop as well so you can check out other polishes by her!